This year, World Vision celebrates its 65th anniversary. Sixty-five years of partnering with the church to share the good news of the gospel with a world in need. Sixty-five years of serving those for whom Christ died. Sixty-five years of responding to emergency needs in the midst of wars, famines, natural disasters, and political and financial upheavals. Sixty-five years of fighting disease, malnutrition, and drought. Sixty-five years of seeing God provide and guide and answer the prayers of his people for wisdom and strength in the midst of the battle. Sixty-five years of blessings from faithful supporters who give sacrificially to build God’s kingdom. Over the years, I have often been asked what my father, Bob Pierce, would say if he could see the many ways the ministry he began is serving those living in poverty today. In acknowledgement of the amazing ways God laid our foundations and in expectation of the greater things yet to come, it is an appropriate time to answer that question. World Vision’s history is tightly interwoven with the history of modern church missions. While Bob Pierce is honored for founding this great organization, he would be the first to say that he did not do it alone. Generations of God’s faithful servants laid the foundation with their sacrifice and witness. And thousands of churches, missionaries, volunteers, donors, and staff helped him to build on it. As a boy, my dad was inspired by the great missionary Hudson Taylor, who first took the gospel to the interior of China. In 1947, he followed Hudson’s footsteps throughout inland China to preach the gospel as an evangelist with Youth For Christ. In his memoirs, Dad admits to being nervous as he stumbled through his first sermon in Shanghai’s Moore Memorial Methodist Church. But God blessed the young preacher’s message, and he began to sense a fresh anointing and purpose. Dad’s “White Jade moment” wasn’t the only way God would challenge his heart. Everywhere he went, he met missionaries who were doing extraordinary things to share the love of God in practical, life-changing ways. Baptists, Methodists, Presbyterians, Anglicans, Catholics — on the mission field, the labels didn’t matter. The power of the body of Christ in action was not lost on the young evangelist. 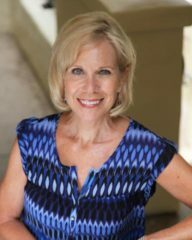 One of the unforgettable people he encountered was Beth Albert, a medical missionary in China. When Dad met her, she was single-handedly caring for 80 lepers who were forced to live in an abandoned cemetery. Unable to get her denomination to support them, Beth influenced locals to help provide the outcasts with medical care and food. As a result of this literal expression of God’s unconditional love, nearly every man, woman, and child had come to faith in Jesus Christ. From that time forward, Bob Pierce made it his life’s work not only to share the gospel, but to raise support for the unsung heroes of the Cross: missionaries working in impoverished places with inadequate support; people laying down their lives to feed the hungry and care for widows and orphans in Jesus’ name; Christians standing for their faith under tremendous persecution; and pastors struggling to shepherd and care for their congregations. Dr. Han Kyung Chik, founder of Young Nak Presbyterian Church in Seoul, Korea, was one of these courageous pastors. 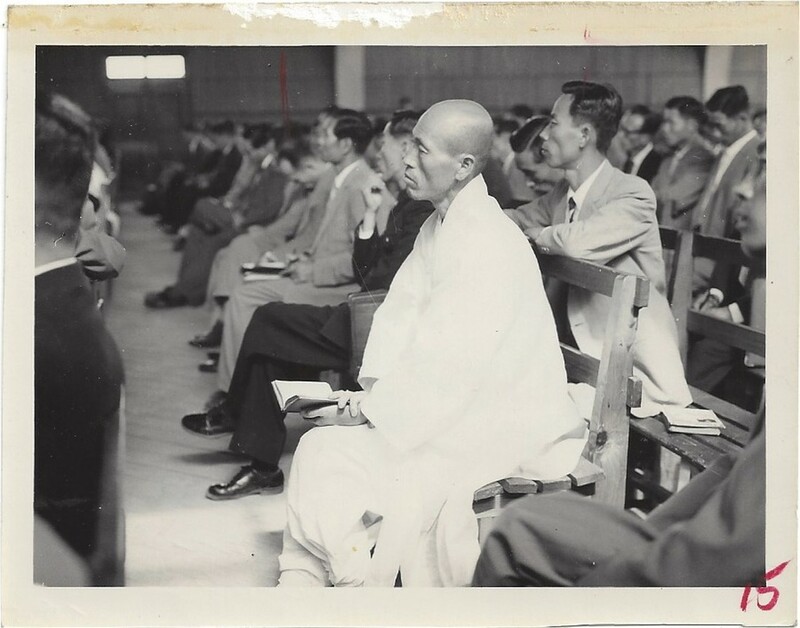 My father met this man who would become his lifelong friend, mentor, and co-worker when he was invited to hold evangelistic meetings throughout the Republic of Korea in the volatile weeks before the war began in June 1950. Tens of thousands of frightened people flocked to hear the hopeful message of salvation as the dark clouds of communism gathered threateningly along the 38th parallel. And thousands came to Christ. Two weeks after Dad arrived back in the United States, the war broke out. Desperate to see what was happening to the pastors and church members he had come to care for so deeply, he returned to Korea as a U.N. war correspondent, representing Protestant church media outlets. His intent was to report on how Christians were impacted by the war. The first person he looked for when he reached Seoul was Pastor Han. Han Kyung Chik was already organizing his congregation to care for the increasing numbers of refugees flooding into Seoul and, once again, my dad offered to help by raising funds and awareness. On Sept. 22, 1950, World Vision became a legal nonprofit. Its purpose was to share the gospel and channel funds to help the poor through existing missions organizations and churches like Young Nak Presbyterian. How World Vision partnered with the churches of South Korea to meet the needs of orphans, widows, and refugees during and after the war is one of the great stories in church history. Because many pastors had met my father, they trusted him with the needs of their congregations and accepted his offer to help. It is believed that 1 out of 4 South Koreans were helped in some way through the emergency aid, children’s and widows’ homes, hospitals, leper clinics, schools, training centers, and churches World Vision helped build, staff, and support in the decades to follow. My father’s concern for the well-being of Korea’s pastors would also lead to one of World Vision’s most significant, foundational ministries: World Vision’s pastors’ conferences. Pastor Han shared the great weariness he saw among his colleagues with my father, and Dad immediately set out to arrange for as many pastors as possible to gather for a week of rest, fellowship, and spiritual renewal. 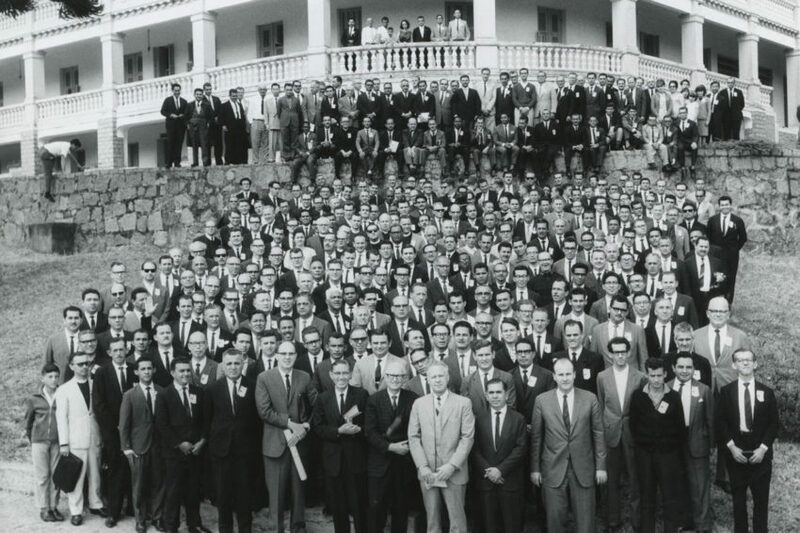 Approximately 100 ministers attended that first historic conference. The meetings went from 4 a.m. until 9 p.m. Men who had hardly spoken to one another before the war now found themselves laughing and crying together and encouraging one another in the Word. When the second World Vision pastors’ conference was held at Young Nak Church after the war, more than 3,000 pastors came from all over South Korea. Over the next 30 years, World Vision made pastors’ conferences one of its top five organizational priorities. Drawing on the knowledge and experience of the greatest theologians and pastors of the time, World Vision held an average of six conferences a year, eventually serving 62 countries and 122,000 pastors. And today, World Vision offices still organizes times like these to empower the local church. As my father traveled throughout Asia to preach and serve, his urgent message about the crisis in Korea often inspired pastors and churches in other countries to give as well as receive. The William Carey Baptist Church in Calcutta (now Kolkata), India, became World Vision’s first international support partner in 1951 after hearing Dad share about the desperate needs of Korea’s suffering children. While the congregation was unable to give much financially, the youth agreed to go to the docks to repack donations from North America being sent through Calcutta on their way to Korea. As a result of this unusual partnership, Dad began raising funds for the church’s outreaches to those suffering and dying in Calcutta’s slums. 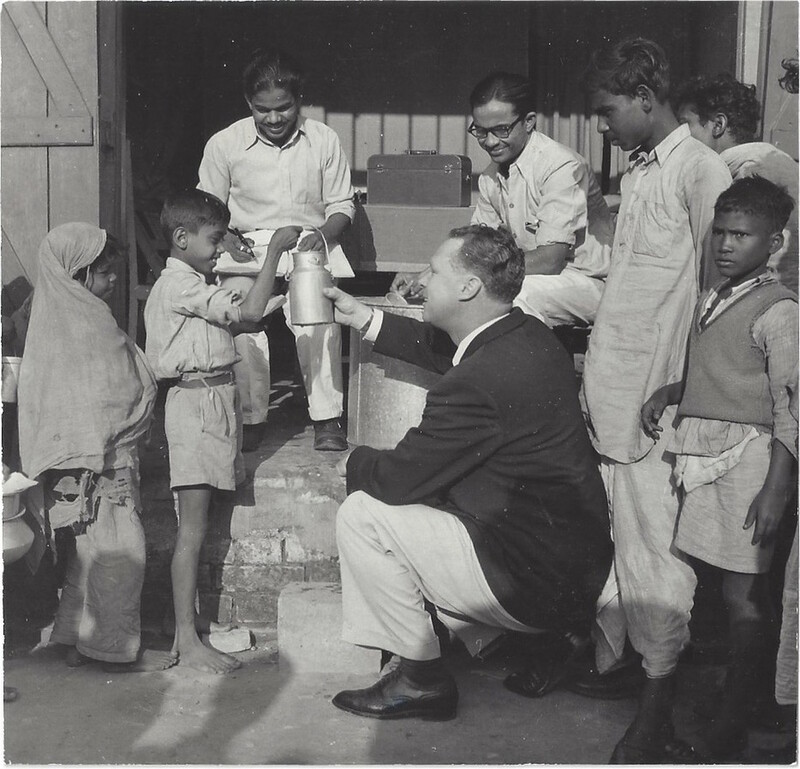 World Vision opened an office in India in 1957 on the campus of this historic church, and the senior pastor, Dr. Walter Corlett, became our first national director. Today, World Vision still has a project office on the church property. The partnership with the church William Carey founded remains the longest in World Vision’s 65-year history. My father’s prayer, “Let my heart be broken with the things that break the heart of God,” became a rallying cry for a new generation of missions-minded youth. And thousands of young men and women committed not only their hearts but also their lives to serving Christ through his ministry. Today, World Vision works in nearly 100 countries around the world, providing emergency relief, bringing clean water and other necessities, addressing the root causes of poverty, and advocating in the highest halls of justice for the poor. 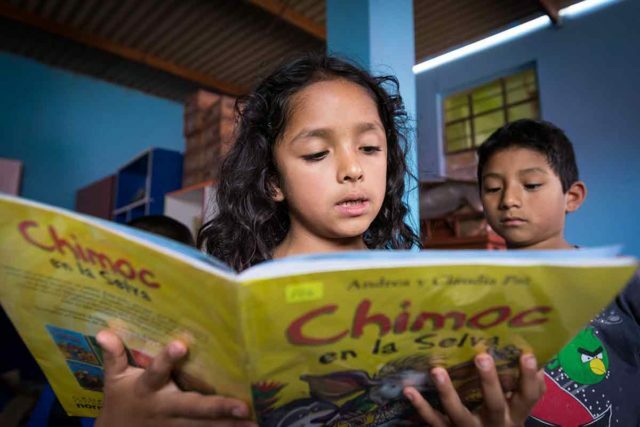 Child sponsorship, once focused on orphans living in group homes, is today blessing more than 4 million children and their communities who benefit from wells, sanitation, food resources, schools, clinics, and microenterprise loans. I believe my father — a great man of vision — would heartily approve of this long-term approach to breaking the cycle of poverty. But World Vision is no longer led by one man’s vision. A dynamic, international partnership of dedicated men and women offer their talents, energy, and passion to help World Vision fulfill God’s call to bring life in all its fullness to the world’s impoverished children. In most cases, staff work in their home countries, speaking the language and understanding the culture and needs of the people. This, too, would bless my father’s heart. In a 1957 magazine interview, Dad said, “The day of the foreign missionary is over. If the world is going to be won for Christ, it will be through national pastors and workers.” Today, more than 45,000 committed workers represent the Lord as the hands and feet of Jesus through World Vision. But the truly important things have not changed. World Vision is still committed to sharing the gospel and finding ways to grow, serve, and empower the church of Jesus Christ at home and around the world. A program called Channels of Hope, operational in more than 90 countries, continues my father’s vision of partnering with local pastors, churches, and ministries to find the most effective ways to share our faith. Another program, Celebrating Families, empowers church leaders to strengthen relationships within families. 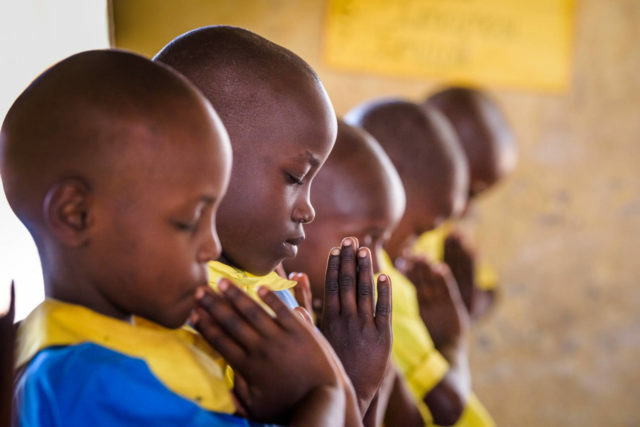 And through World Vision’s work, more than 4.7 million children worldwide benefit from this spiritual nurture. As the testimonies from Armenia’s youth illustrate, we are helping to equip a new generation of world changers to be bright lights in the darkness. I planted. Others watered. But God kept everything growing … For we are God’s co-workers, and World Vision is his building. As an expert builder using the grace that God gave me, I laid the foundation. Now others are building on it. Let each generation be careful how it builds. And always remember, no one can lay any other foundation than the one that is already laid, and that is Jesus our Lord. Honored with the Pierce Award in 1998, Father Beltran pastored a church in the Smokey Mountain community near a garbage dump in Manila, Philippines. 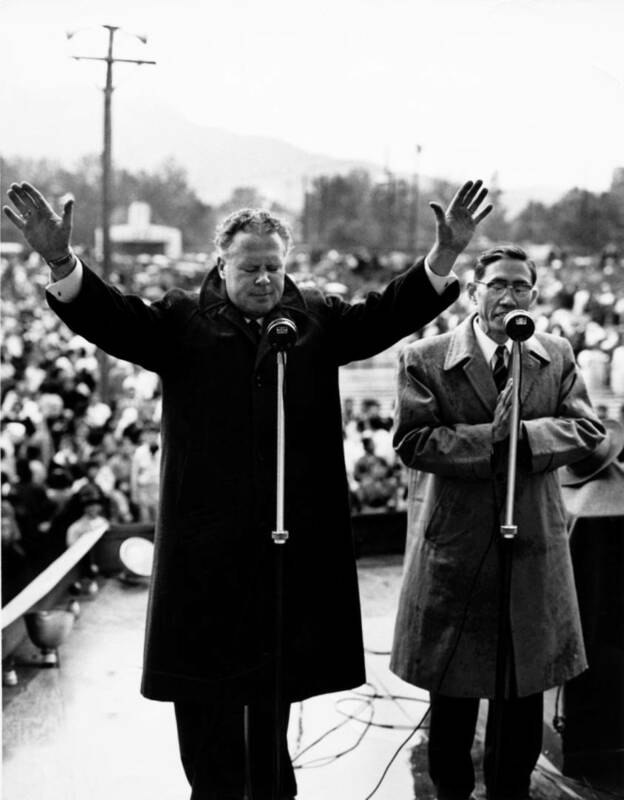 His encouragement and activism enabled Smokey Mountain residents to rise above their poverty. Born in Jerusalem and educated in the U.S., this Palestinian Christian founded the Bethlehem Bible College in the West Bank in 1979 in order to prepare followers of Jesus for service in Arab churches and society. He received the Pierce Award in 1999. Honored with the Pierce Award in 2002, the wife of a former vice president of Zambia felt God’s prompting to establish an orphanage and transit center in Lusaka — a haven for abused, abandoned, and homeless children. The 2001 honoree, a pastor and evangelist in Myanmar, was mentored by Bob Pierce at the beginning of his ministry. Saw Moo and his wife spread God’s Word in places where Christians were rare, and he remained strong in his faith despite persecution. After the fall of communism, Middle East-born Sister Arousiag moved to Armenia. She ran a school and orphanage in earthquake-devastated Gyumri that provided a safe place for children to live all year round. This advocate for children was honored with the Pierce Award in 2003.